Bernie wins the Prize!! 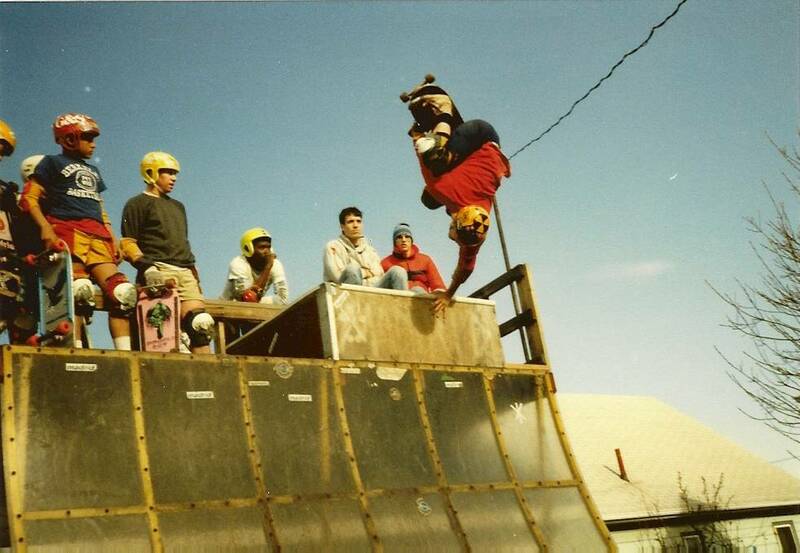 It is Doug Mayer from PA…and we spy your yellow helmet…Rodney (Smith)! 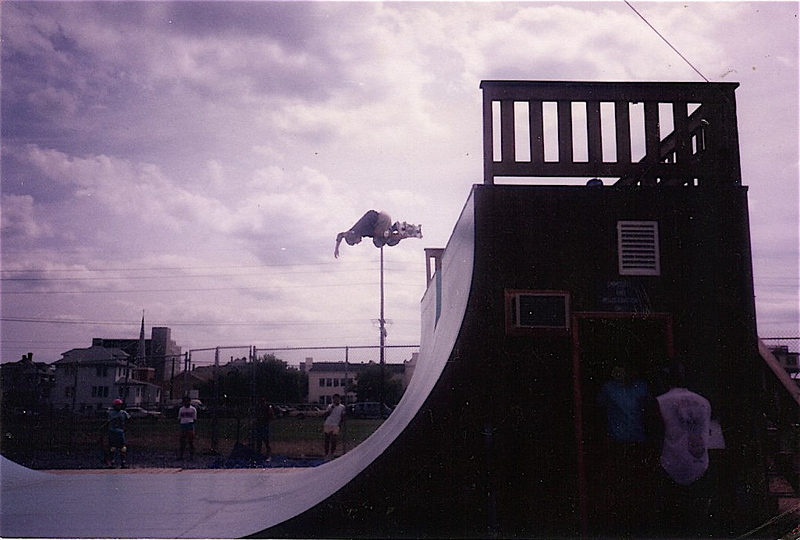 This entry was posted in Groholski's Ramp, Photos by Ken & Steven Deitz, Unknown Skater and tagged ART, backyard ramps, boards, east coast, house of steam, jason, Jason oliva, jasonoliva, New Jersey, New York City, oliva, paintings, photography, pool Skating, ramp, ride, sk8, sk8t, skate, skate decks, skate history, skate photography, Skate ramps, skate trucks, skate wheels, skateboarding, skateboarding history, skateboarding photography, skateboards, skatepark, skater, SKATERS, steam, Street Skating, TEAM STEAM, The Barn, The House of Steam, thos, Tom Groholski, vert, vert ramps, Vert Skating on June 30, 2009 by jasonoliva. 355: Unknown Skater 2 : Cheap Skates PA…Chris Diehem? 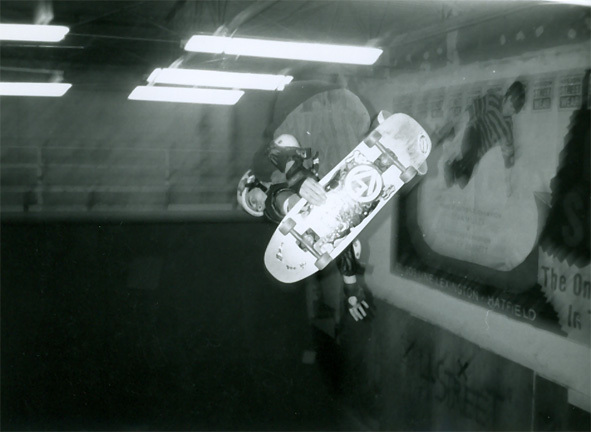 This is our second unknown Skater in the Archive…Anyone recognize? So far it looks like A friend of Buster Halterman’s named Scott. Or CHris Diehem former Ocean Bowl employee. This entry was posted in Cheap Skates, Unknown Skater and tagged backyard ramps, bam, Cheap Skates, jason, Jason oliva, jasonoliva, Lexington, oliva, pA, Pennsylvania, ramp, ride, sk8, sk8t, skate, Skate ramps, skateboarding, skateboards, skatepark, skater, TEAM STEAM, The House of Steam, Unknown Skater, vert, vert ramps on January 22, 2009 by jasonoliva. 298: The Unknown Skater 1. At O.C. Can anyone recognize? I received this cool pick of OC Marylands Blue Steel ramp. It was taken in June or July of 1987. I get quite a few of these great shots(looking at you Dennis) of Unknown Skaters so I thought I would add a category (Unknown Skaters) and we can immortalize or identify these unsung heros who never buddied up to their photographer. PS The House of Steam will be 2 years old on July 20th. If you have anything nice to say now is the time to email some comments!! This entry was posted in Ocean City, Unknown Skater and tagged ART, backyard ramps, boards, east coast, house of steam, jason, Jason oliva, jasonoliva, New Jersey, New York City, OC Maryland, oliva, paintings, photography, pool Skating, ramp, ride, sk8, sk8t, skate, skate decks, skate history, skate photography, Skate ramps, skate trucks, skate wheels, skateboarding, skateboarding history, skateboarding photography, skateboards, skatepark, skater, SKATERS, steam, Street Skating, TEAM STEAM, The Barn, The House of Steam, thos, vert, vert ramps, Vert Skating on July 15, 2008 by jasonoliva.